This slim card case has a dual personality. The front is made with traditional woven intrecciato, while the back is made of smooth leather with a zebra print. The animal motif lends an of-the-moment twist to an essential small leather good. 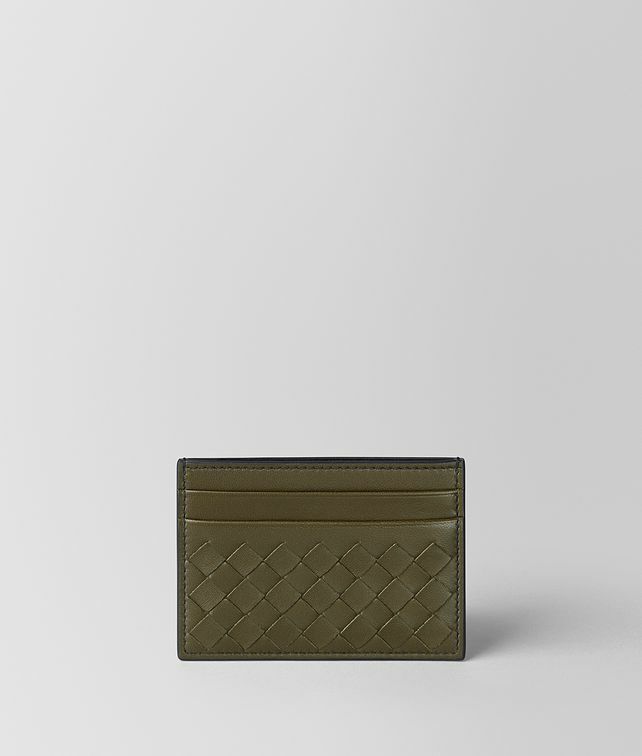 It features two credit card slots on the front, in addition to the main centre compartment. Width: 9.5 cm | 3,7"